Fueled in part by candidate Mitt Romney’s comments about the “Sesame Street” character Big Bird, Wednesday evening’s presidential election debate in Denver, Colorado set a new record as the most tweeted about political event in US history. Twitter’s dedicated government and politics account Tweeted the milestone shortly after the debate concluded. Though President Obama set a new record of his own last month by achieving 52,757 tpm during his speech at the Democratic National Convention, Wednesday’s debate still generated more tweets than the DNC. Update: Twitter has revealed that 10.3 million tweets were sent out over the course of the 90-minute debate, with the peak coming around 9:53pm. During the debate, Romney sparked a conversation on Twitter after remarking that he would cut PBS funding, even as he professed a love for Big Bird. Naturally, Big Bird quickly became a meme as 17,000 tweets per minute (tpm) were sent out about him, while mentions of PBS reached 10,000 tpm. Tumblr also got in on the debate action with its live-giffing of the event. The service has posted a collection of the night’s best GIFs at gifwich.tumblr.com. 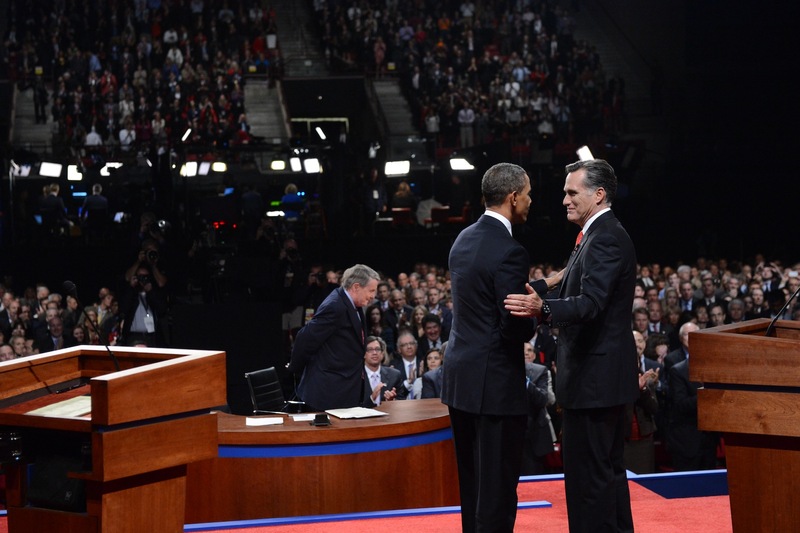 With a score of 37, Romney held a narrow one-point lead over Obama in Twitter’s Political Index after the debates. The micro-blogging service launched the tracker in August to keep track of public sentiment surrounding the two candidates.